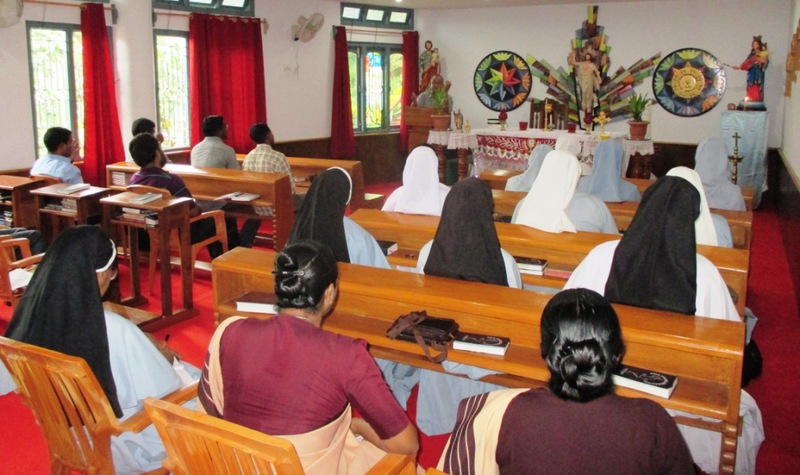 The Diocese of Miao has organized a series of Study Days on the latest Encyclical of Pope Francis Laudato Si’ at five different centres of the Diocese from 4 to 25 July 2015. The first of the five Study Days on Pope’s Encyclical on Care for our Common Home was conducted in Miao on 4th July 2015. Speaking on the occasion, Bishop George Pallipparambil SDB highlighted the need for caring for our ‘Common Home’. “The world is our Common Home and we must all work for its care and protection”, he said. Quoting the Book of Genesis, he said, “God has created the World and gave it to us to till it and keep it and not to use it for selfish motives, driven by profit and greed.” He also lamented the fact that there is felt change of climate even in Arunachal Pradesh, which used to have virgin forests and the people had unbroken communion with the nature. In order to highlight the Pope’s new Encyclical and to make Priests and Religious in the Diocese aware of the need to care for the “Common Home”, Bishop George fixed five different zones in the Diocese for the study. The second study day was held in Khonsa, a remote township of Tirap District of east Arunachal Pradesh and the number of participation was encouraging. The next study is scheduled to be held at Kumari Parish of the Diocese on 18th July 2015. “I feel very happy that I was able to attend the one of the Study Days of the Laudato Si’. This has helped me to understand our Holy Father’s concern for our common home. I go back to the mission with determination to protect our common home and I will also help people the understand the importance of its care”, said Fr. Shoby of Changlang Parish of the Diocese.